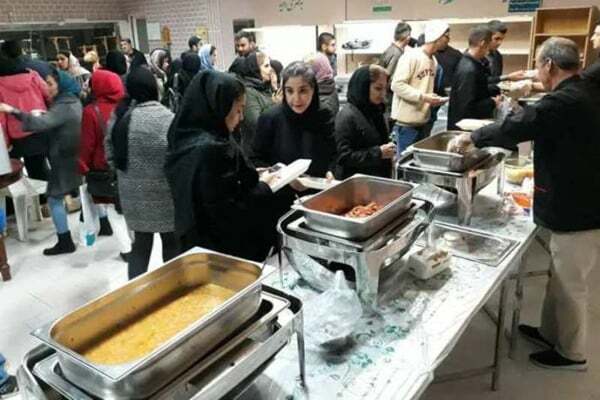 According to the organiser, the purpose of holding the ceremony was to prove to everybody that those who have quit drug addiction are able to cook and serve food at the same level that prestigious Tehran restaurants do. The proceeds from selling the foods cooked by those who have given up drug addiction will be used to improve their own lives as well as an association tasked with helping drug addicts give up their addiction. “Most of them gave up drug addiction more than six months ago, and these programs and participation in the association’s activities help them both earn a living and not turn to drug addiction again. Apparently, the appearance of the individuals and the quality of their foods are completely like those of a professional catering business. The people who work here are all those who have given up drug addiction and range in age between 20 to 60,” said the organiser.